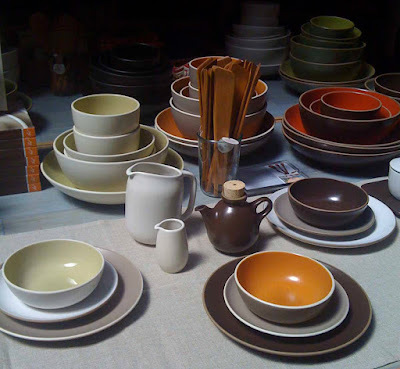 While I tend to prefer tableware with thinner, delicate edges, I appreciate the simplicity and warmth of Heath Ceramics. Founded in 1948, this American company has been producing tableware and tile in Sausalito, California. I took this image in their boutique stand at the San Francisco Ferry Building. They have a great website that shows their full collection and now have a blog. 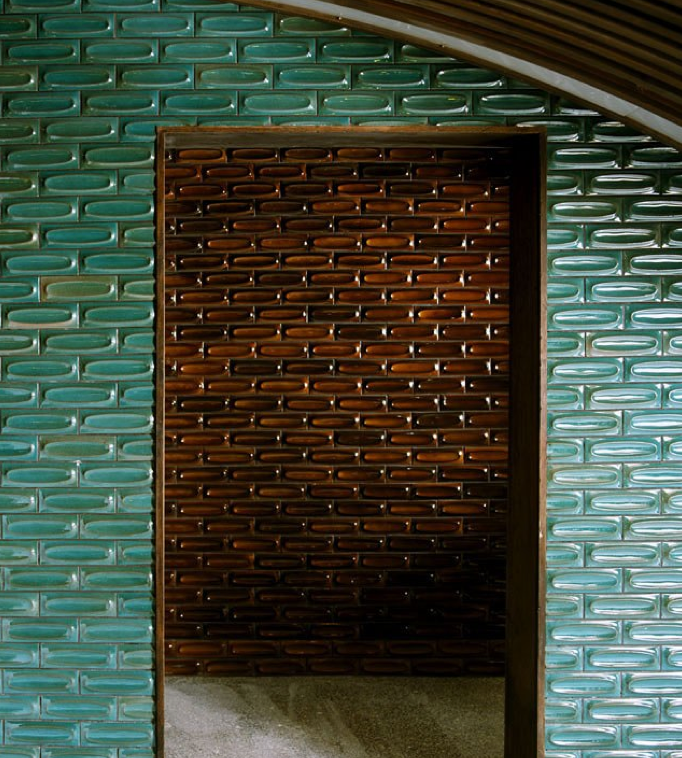 I especially love their Dimensional Tiles. (Image pulled from website.) Someday, I would love to do the full length of a hallway wall, in a residential space, with one of their tiles. I think that it would add such great texture and interest to a space.